The show season in the local area has been a fun one so far this year. We started it off with a bang at the Automotion show in WI Dells. The 1949 Chevy Pickup 3100 made it's debut there. We have to admit that the truck was on a trailer to get to the dells and then driven onto the show grounds. Why you might ask? The truck's top speed is about 45mph and the roads to the Dells are less than smooth. The 216 and 3 speed on the column are great! The challenge is with the ruts in the roads that are barely wider than the white wall tires. This little green truck attracts a lot of big attention. Young and old are drawn to it. Most of the trucks that are shown of this era are modified. This one however is stock. The only things that were changed: gas tank relocated to beneath the bed at the far back of the truck, conversion to disc brakes and it has seat belts(which we keep getting flack for from some of the most nostalgic viewers, but it is safer and the owner is a retired paramedic and firefighter). People seem to enjoy the time warp they experience when they admire a truck that looks like it's straight out off the 1949 showroom floor. It is just as much fun to ride in as well. "Everybody waves!" says Pat, one of the owners. Congratulations to the owners! The positive remarks from spectators and judges are too numerous to mention but one stands out: "I hope you have a room big enough for all the trophies that thing will win"- fellow car show participant. Next one on the docket is Fox Lake on July 28th (and maybe one or two in before that if time allows). Driven Restorations in the News! We were recently featured in the Beaver Dam Daily Citizen. We are excited for the show circuit this summer and will continue the activities this Sunday at the Beaver Dam Swan City Car Show. Thank you to all the local business's for their support and excellent service! 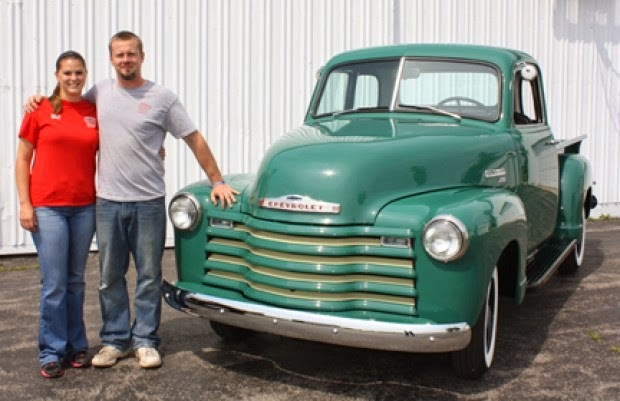 RANDOLPH — A car restoration business that prides itself on quality work has a simple goal – helping people drive their dream. Steve Gursky Jr. and his wife, Molly, own Driven Restorations, located at their rural Randolph home. The Gursky's moved to Randolph from northwestern Wisconsin a few years go when Molly had a job change. A graduate of Wyotech, Steve said he’s been working on cars since he was 8 or 9, and working on them professionally for about 12 years. Driven Restorations will work on projects big and small, from a frame-off restoration to minor repairs and does almost everything in house except upholstery and machine work on engines. Driven Restoration fully document projects – including photographs and videos so the owner can see the process. The Gursky's said they try to stay with local suppliers as much as they can. Steve said he takes pride in his work, and considers each car he works on to be an advertisement for his business. Molly said a project can be restored back to stock, or customized with performance parts. The Gursky's said the car scene is a lot bigger in this area than it was in northern Wisconsin. Steve had worked for an auto body shop on restoration and collision projects. He said he’s not going to get rich working on restorations through his current business. “You have to have a passion to do it,” Steve said. Steve restores a limited number of vehicles a year and Molly does all the bookkeeping(,customer service) and marketing. Current projects include a 1965 Ford Galaxie and a 1959 Dodge Sierra Spectator nine passenger wagon. 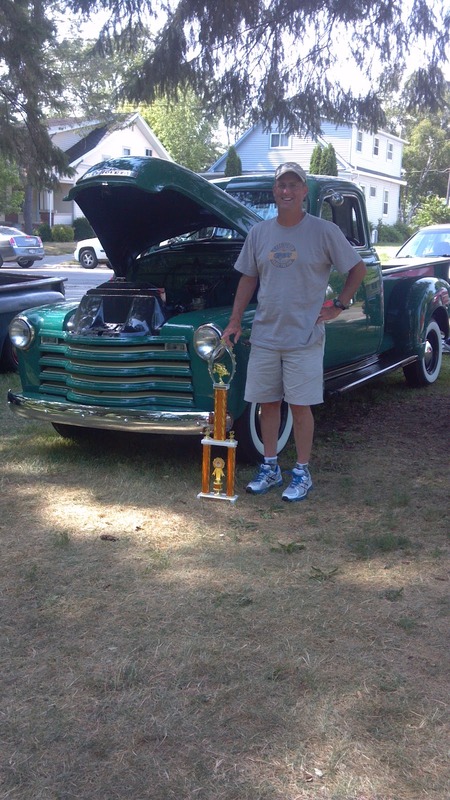 Driven Restoration plans to be at the annual Swan City Car Show on Sunday in Beaver Dam, and will serve as a show sponsor for the Cruzin’ Portage Car and Truck Show on June 24. 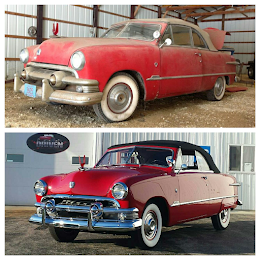 To learn more about Driven Restorations, call (608) 609-5041, or (920)326-9314 find them on Facebook or visit their website, www.drivenrestorations.com. The Swan City Car Show will take place Sunday at Swan City Park in Beaver Dam. Admission is free for spectators. The event opens at 8 a.m. An awards presentation will begin after 3:30 p.m.